MRI results showed that Victor Oladipo suffered a ruptured quad tendon Wednesday night. He will require surgery and will miss the remainder of the 2019 season. 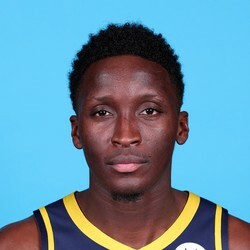 Oladipo will have a long road to recovery for next season. The injury is fairly rare and threatens to diminish Oladipo's athleticism upon his return.